Matt Napier is an adventurer and poverty ambassador who undertakes various walking and cycling challenges to raise awareness of global poverty as well as raising funds for his Charity Partners and sharing his story to highlight the role of sustainable development in overcoming poverty once and for all. In June 2017 Matt commenced his latest adventure, walking 1900kms from the bottom of Namibia to the top, following the infamous Namib Desert the whole way. The Namib desert in one of the most uninhabitable parts on earth, the locals call it the land God created in anger or the gates to hell. Having previously cycled and walked across Australia, then walking across Africa last year living under the poverty line for the same cause Matt is no stranger to the physical challenges involved however this adventure tested him is ways he has never been tested before. He was faced with severe sand storms cutting his visability down to around 10 metres. He was also faced with isolation in a desert that takes no prisioners. Matt will once again kicked and/or carry a soccer ball the whole way as a way of connecting with people from all walks of life and highlighting how sport is being used as a tool to help alleviate poverty in Africa. 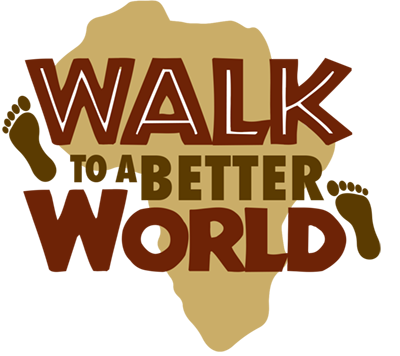 The funds raised during the journey were used to support the work of our two Charity Partners – Caritas Australia and Empower Projects – by funding two crowd-funding campains #walk4malawi and #walk4water. Find out more about this amazing journey through the blogs, video and photos on this website.